Hello stampers! 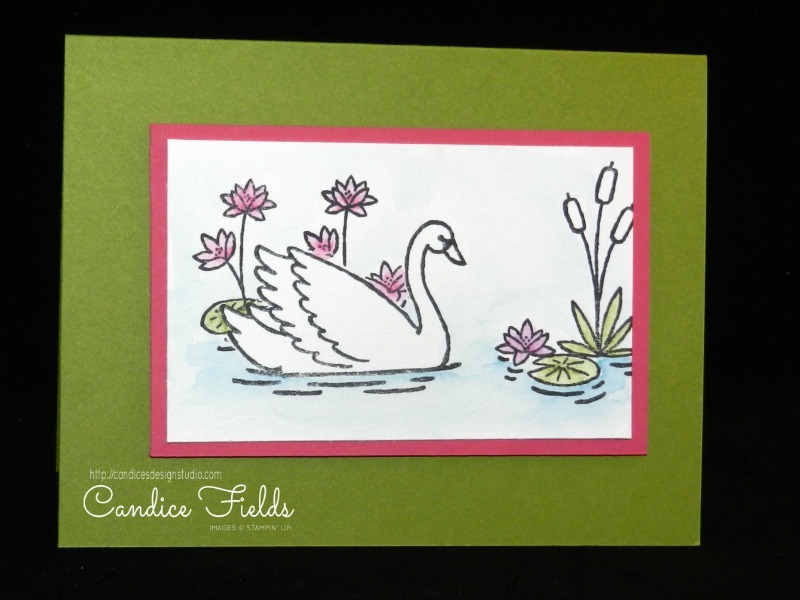 Today, I am sharing a card I created using the new Swan Lake stamp set, which is featured on page 53 of the 2017 Occasions catalog. I colored the images with the new Watercolor Pencils featured on page 24. I used the masking technique to stamp the flowers behind the swan. I can't believe that I almost did not get this set because it's so beautiful. I love how this card came out.